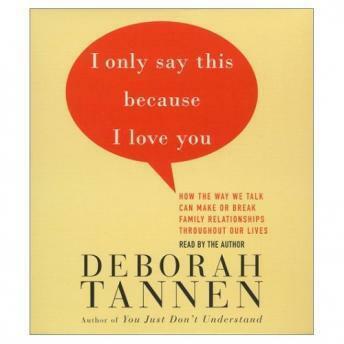 I really loved how this book revealed the booby traps, that seemingly harmless talk between family members can trigger. I noticed quite a few of them in my own way of speaking with my husband and son. I also noticed them in how my older sisters speak to me. I listened to the book twice to learn how to not fall into these traps and have managed to avoid quite a few confrontations since using Deborah Tannen's solutions and ideas. This book offers a great insight in human communication and how we often don't hear the word message but a hidden meaning behind it.